A natural vegan soap handmade using tea tree which is famous for its excellent antiseptic qualities, combined with eucalyptus with its antibacterial action to create an aromatic soap for deep cleansing which leaves your skin feeling soothed and refreshed. Certified cruelty free by BUAV, this soap is a wonderful ethical alternative to regular brands, and it is Paraben, SLS and Palm Oil free. Sodium olivate, Sodium cocoate, Aqua, Butyrospermum parkii (shea) butter, Melaleuca alternifolia (tea tree) essential oil contains limonene, Eucalyptus globules (eucalyptus) essential oil contains limonene, Urtica dioica (nettle leaves). 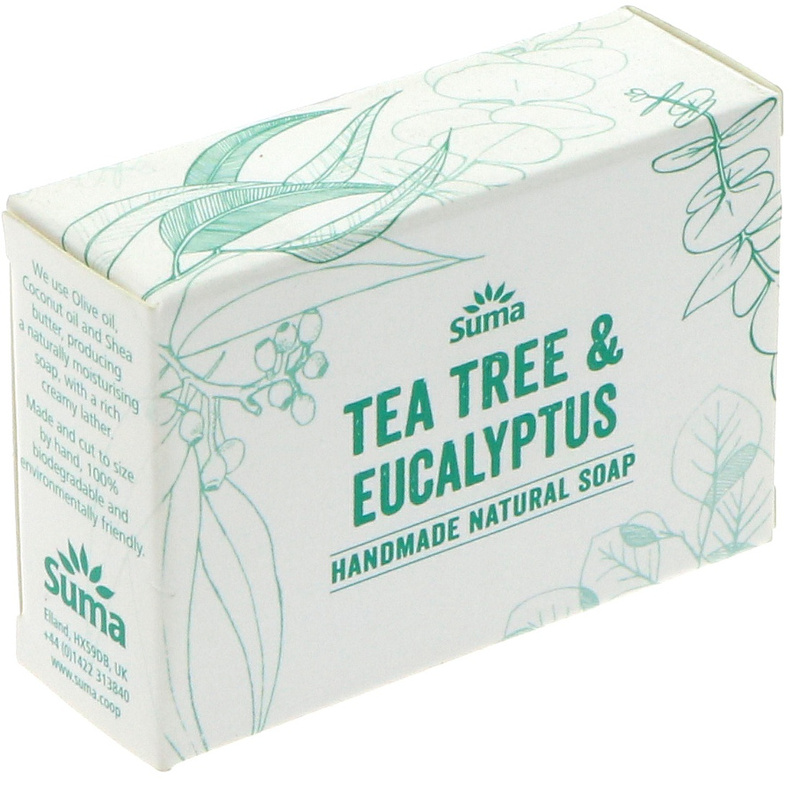 The Suma Handmade Natural Soap - Tea Tree & Eucalyptus - 95g product ethics are indicated below. To learn more about these product ethics and to see related products, follow the links below. makes you clean, smells nice, it's affordable and it is harmless. That's all I want. There are currently no questions to display about Suma Handmade Natural Soap - Tea Tree & Eucalyptus - 95g.